There is a new military administration body within the Navy. The Ukrainian Armed Forces' Navy has appointed Maj-Gen Yuriy Sodol as marine commander, according to the Navy's Facebook page. "In accordance with the reform plan of the Ukrainian Armed Forces and the Ukrainian Navy, in line with requirements of Ukraine's Strategic Defence Bulletin approved by the president, the fleet reform is continuing. A new military administration body has been set up within the Navy – the Marine Command, Maj-Gen Yuriy Sodol has been appointed its commander," it said. Navy Commander Ihor Voronchenko handed the state flag and the Navy flag, which were rescued from the coastal guard HQ of the Ukrainian Navy during the Russian annexation of Crimea, over to the marines. 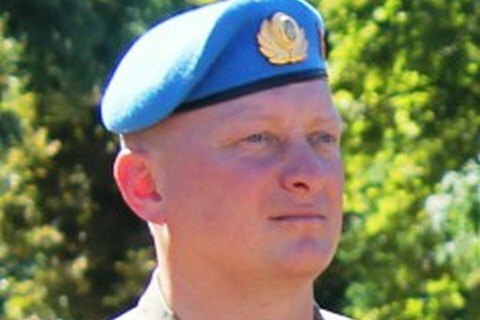 Sodol was the first deputy commander of the highly mobile airborne troops of the Ukrainian Armed Forces. He has been taking part in the antiterrorist operation since 2014.